Welcome to New Southern Properties ! 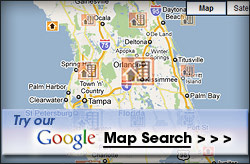 If you would like additional Central Florida real estate information please contact us ! Central Florida is a great place to live, with its great weather, diverse economy or wide array of recreational or cultural activities available, we invite you to explore our site and find out why Money Magazine chose Central Florida as the #1 choice for Florida Living. In today’s economy you have to make careful choices when buying or selling real estate. At New Southern Properties, we perform according to our RICH philosophy and strong work ethic – Results through Integrity, Competence and Honesty - and we practice it everyday for YOU! Whether you are looking to relocate to Central Florida, or are already enjoying the Central Florida lifestyles and activities and are simply looking to buy or sell within the many wonderful communities in Central Florida, New Southern Properties is here to make it happen. Contact us.